Amazing progress report from the SCC*F2F Community Center in Siem Reap. Organic gardens, using all natural processes and utilizing very basic permaculture and organic gardening practices, were created by the children of the community center on January 6th. Now, not even a month later the gardens have produced lots of vegetables that you can eat every day, providing good, varied nutrition. 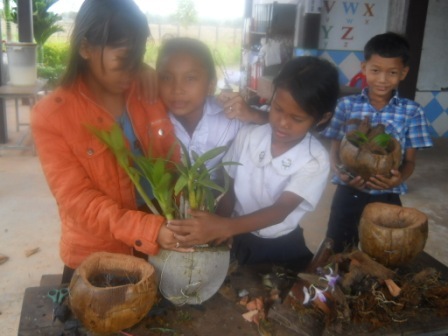 Students at SCC*F2F in Siem Reap have learned so much about flower cultivation. 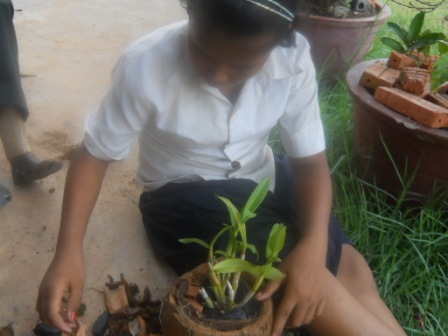 Students are now able to use bat mature as fertilizer, and can care for the flowers on their own. Something beautiful that they can enjoy for the rest of their lives!